Hi and a Happy Aloha Friday. You've probably never experienced something like this yourself, but with a click of a mouse, and a fistful of dollars, I bought a soldering gun online last night. From Amazon. Weller® brand. 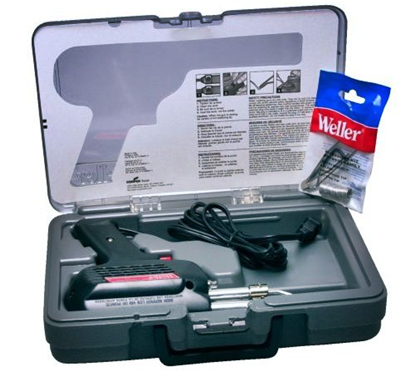 The industry standard for soldering guns. For an unbelievable $41.71. *Plus, free shipping*. Scheduled to arrive in the mail next week. But, know something, with "free shipping," I wouldn't mind waiting 2-weeks for the item. If it was urgent, I'd dish out another $40 and buy the same unit for its $80 retail price at local stores. Btw, those shipping charges on Internet "deals"....are often questionable. Free shipping eliminates that scenario. The $41.71 price was for the kit. 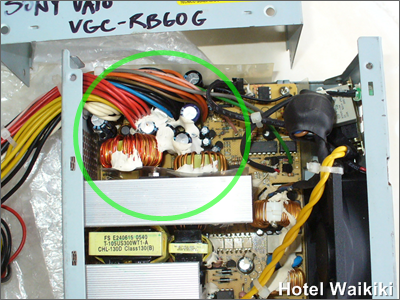 Which means you get a carrying case and assorted soldering tips and a spool of solder wire (photo below) along with the soldering gun. 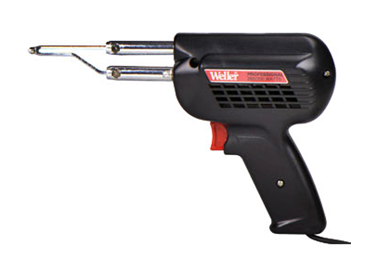 The Weller soldering gun, "professional model," has a two-position trigger. 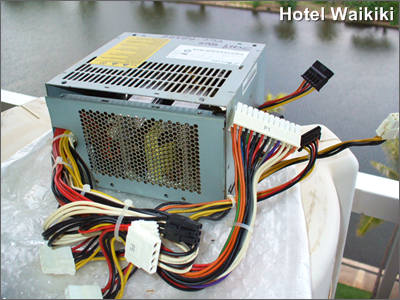 200 watts and 260 watts. It should suffice for the kind of soldering work I'll be doing around here for the next 50 years.